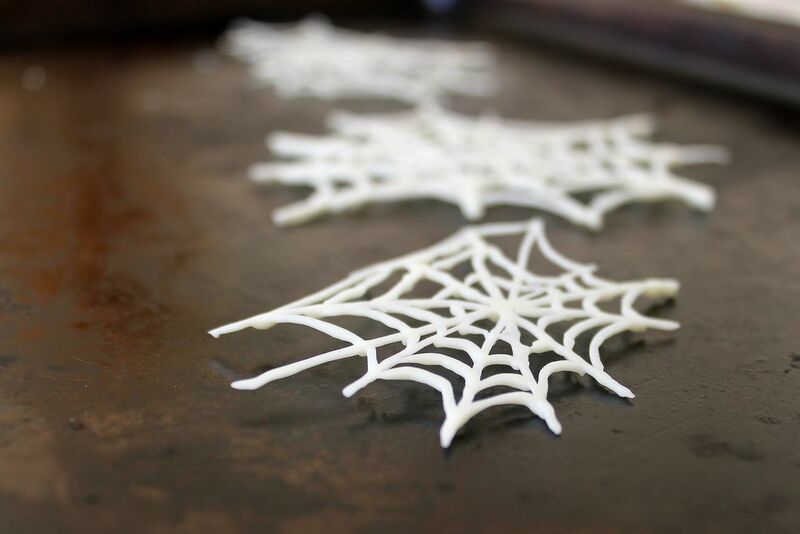 Today: Make your own white chocolate spiderwebs for topping Halloween desserts and drinks. Halloween is without a doubt one of the best holidays of the year. Who can resist a break from autumnal salads in favor of bowls of candy? Who can resist spooky cocktails and Martha Stewart's yearly costume ideas? But when it comes to Halloween decorations, I am really quite a minimalist. I tend to steer clear of big, flashy orange and black decorations in favor of small, simple touches -- a pumpkin here, a spiderweb there. 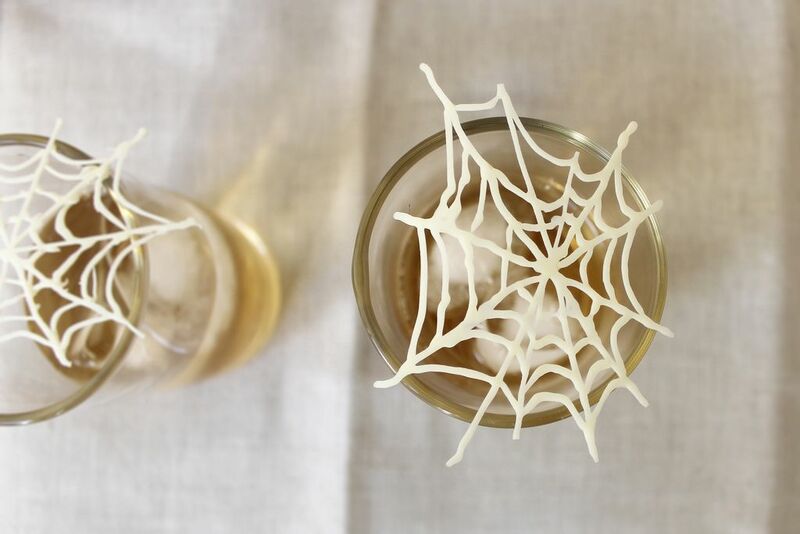 One of my favorite Halloween tricks is to make little spiderwebs from white chocolate and use them as toppers for drinks and desserts (almost like tiny versions of Yossy Arefi's Spider Cake). They are quite easy to make in advance and make striking dinner party additions to the tops of pots de creme and caramel puddings. You can even set them atop cocktails or after-dinner glasses of whiskey. 1. 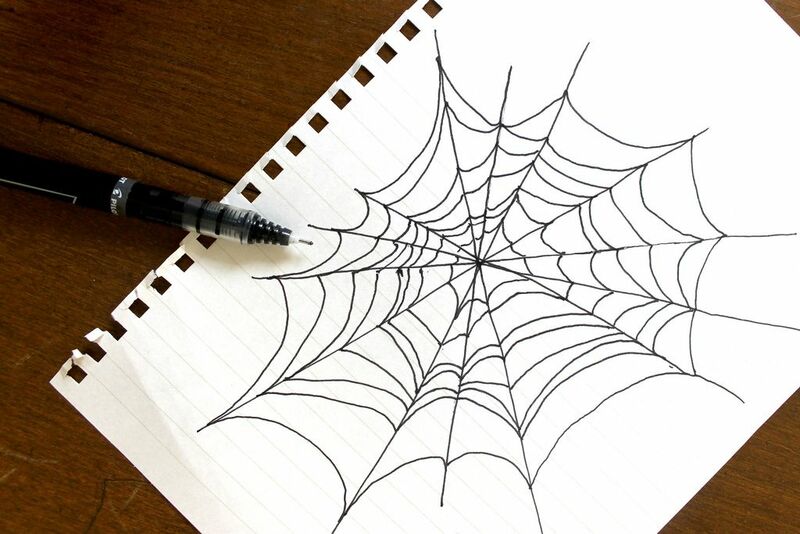 Find a spiderweb image that you like, and trace it onto a piece of paper with a black pen (you can even use the image above if you like). 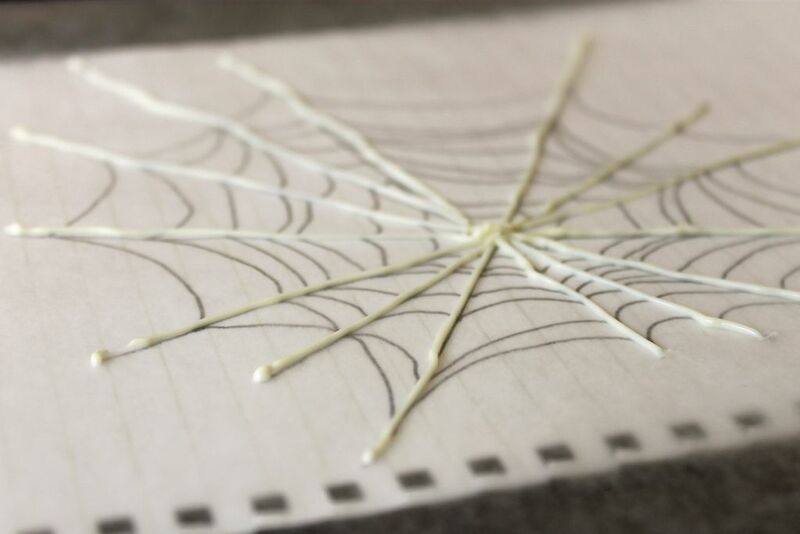 Place the spiderweb drawing on your baking sheet, and place a piece of wax paper on top of it. 3. Spoon the melted chocolate into your ziplock bag. Gently push out any air bubbles from the bag, and seal the bag shut. Cut a very tiny hole in one corner -- no wider than a millimeter. 4. Use the bag to pipe narrow, steady streams of chocolate, following the lines of your spiderweb drawing. Continue until you have created several webs, covering the surface of your baking sheet. Place the baking sheet in the freezer for about 10 minutes, and then very carefully and slowly ease the wax paper away from the webs. Use webs right away or store in a tupperware container in the freezer. I love this Anna. Easier than a gingerbread house! These are lovely! And they look not-so-hard to do!